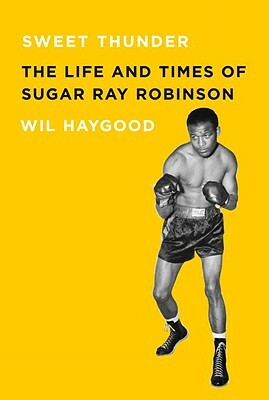 First, we’re joined by Wil Haygood, author of Sweet Thunder: The Life and Times of Sugar Ray Robinson. Wil is a staff writer for The Washington Post and the author of other books including biographies of Sammy Davis, Jr. and Adam Clayton Powell, Jr. For a recommended sample of his writing, click here for his essay written after the arrest of Henry Louis Gates Jr. last summer. Ray Cook – Founder and Executive Director of On Our Shoulders, a youth program based in Baltimore, MD.